Callers will remain anonymous and are eligible to receive a cash reward if the information given leads to an arrest or grand jury indictment of a felony offender. 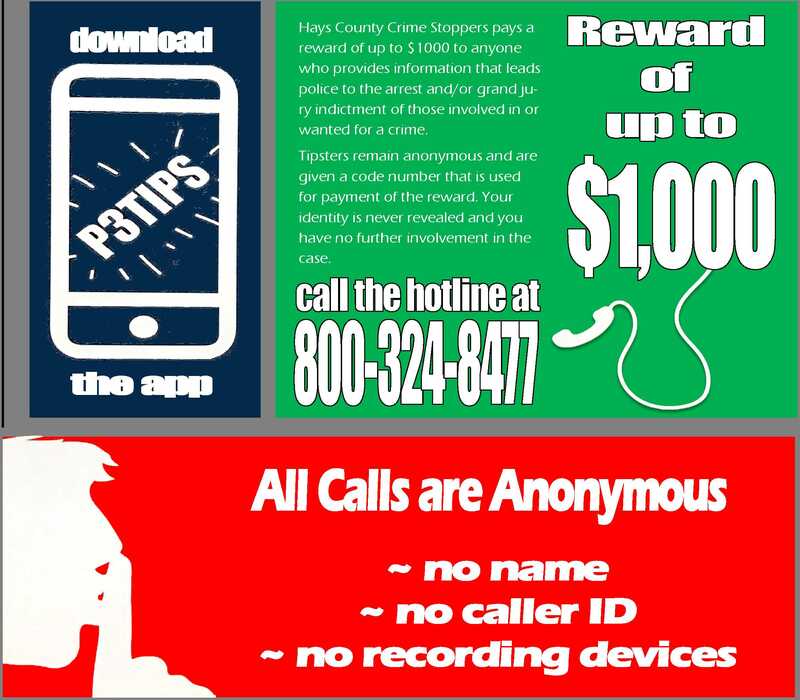 Hays County Crime Stoppers relies on tax deductible contributions from the public and grants in order to operate the administration of the program. Search for "P3 Apps" on the Apple App Store or Google Play Store.